To say that I’m aware of Russ Taff’s discography would be to say that I’m an avid fan of metal music. It’s just not true. 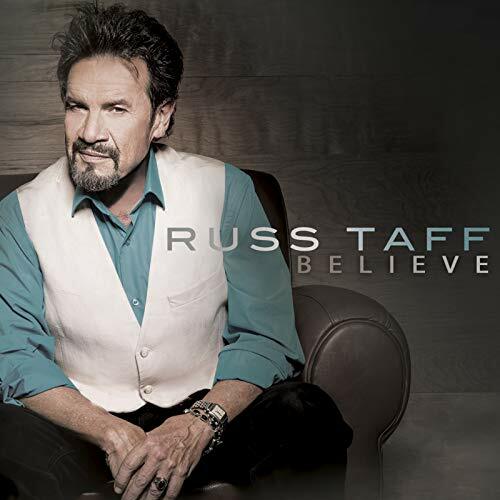 however here I am, writing a Russ Taff review, on the basis that Russ covered a few CCM melodies on his latest album Believe. Is that me being somewhat prejudiced against the artist, or even showing favouritism? I mean if an artist (that I’m indifferent to, or that I am a fan of!) breaks the mould and sings in a genre I love or a genre I hate respectively; does that make me change my viewpoint on the artist or the songs? These questions were running through my head as I set out to voice my thoughts on Believe, however I found myself actually loving these renditions, and better still- loving the originals! Maybe it’s time for me to revisit Russ Taff and become a true fan in the future? Listening to Believe is like taking a trip back to the 90’s. it’s full of nostalgia, big booming electric guitars and captivating synth, all headed by a larger than life raspy voice that is similar to Billy Goodwin from Newsong. Yep, it’s Russ Taff, and his presence his all over these covers and originals. Not that I would know his presence, but I can only imagine given how Believe sounds like- which is good as it reminds us how much simpler music was back then, but also how much evolved it is now. As Russ is taking hits from today and repackaging them for yesterday’s audience, Believe is an experiment, if you will, and an experiment that succeeds. “Your Love Never Fails” (Jesus Culture), “Same Power” (Jeremy Camp), “Don’t Try So Hard” (Amy Grant), “I Am” (Crowder), “Be Still My Soul” (The Imperials), “No Longer Slaves” (Bethel Music), and “There Is A Fountain”, a lesser-known hymn; all encourage and inspire and deliver fresh, impacting and hopeful renditions of hits past, present and future, as we hear tracks reimagined in a way that is only the Russ Taff way- a way that modernises these songs as well as makes them throwbacks. Make sense? Not really if you don’t listen to these songs but when you do, you will see what I mean! Russ also presents us with a few all new original melodies that are just as poignant and necessary as the covers. “When I Hear Your Name” is a piano led ballad in which Russ details the change inside of him when he hears the name of Jesus, relaying that Jesus is present in everything, and can speak to us in anything. Thus whenever we think we hear Jesus we ought to step up and pay attention- sometimes we can in fact miss the moment and miss out on what Jesus is saying if we’re too focused on other things in life. While “There’s A Hallelujah” is a typical 90’s rocker brimming with explosive electric guitar riffs, inspiring us to look for the blessings and the ‘hallelujahs’ in everything, in the hills and in the valleys- similar in theme to Tauren Wells’ “Hills And Valleys”, as we remember that there’s a reason why happens- and that reason may not be clear now, but will be in time when God reveals it. “Isn’t The Name” pulls back the tempo quite a bit with the piano prominent ballad asking the question of if Jesus’ name is wonderful- solid in it’s own right yet not groundbreaking- while it is “I Still Believe” and “We Will Stand” which stand out to me the most on Believe. With the former track being a powerful electric guitar led remake of the 80’s smash hit, and is a testimony type melody reasserting with conviction that despite everything that has occurred in his life, Russ still believes in Jesus because of the cross and the resurrection; “We Will Stand”, possibly Russ’s crowning achievement, inspires us to join together with our brothers and sisters in Christ, as we live as one and make the world a better place than it is right now. A perfect way to end an album, and a great album at that- one that has be eager to check out more albums from Russ Taff; let me end this review by saying that Believe is a record that we never knew we needed; but needed anyway. It’s a celebration of worship and everything that is Russ Taff over the years, but also a look to the future, and a reminder than a song can still be impacting regardless of the singer. Will Believe be listened to by the public, or just passed over? I hope and pray that it is the former- Russ deserves to be praised for this out-of-the-box project which definitely works in my opinion. Now what is next from Russ? Only time will tell but consider me a new fan after this; I will certainly check out Russ’s discography. All of you guys should as well if you love worship music!